From strength to strength he keeps pushing the boundaries. 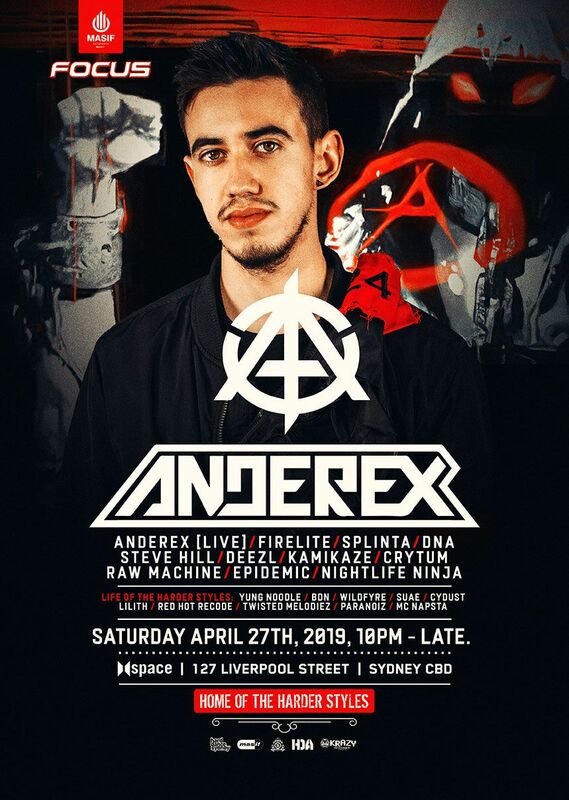 His rapid rise saw him support Warface in November 2018 with an unforgettable set at the Enmore Theatre…next he signed to the powerhouse raw label, GEARBOX DIGITAL! With his own chosen lineup, and an additional new ‘live concept set’ to boot… we are more than honoured to announce: ANDEREX in FOCUS! * Management reserves the right to refuse entry.